This photograph is of the last partial eclipse (2011) that was (just!) visible from the UK – this was taken from Farringdon Folly, West Oxfordshire (after I had spent a few minutes driving around trying to find somewhere suitable to get a decent chance of getting a clear shot) – fortunately, the clouds did break a little and I took full advantage! Taken with an ND6 filter attached to my Sigma 70-300mm zoom lens, I like this shot as it included flocks of birds flying to roost because the light levels were dropping. 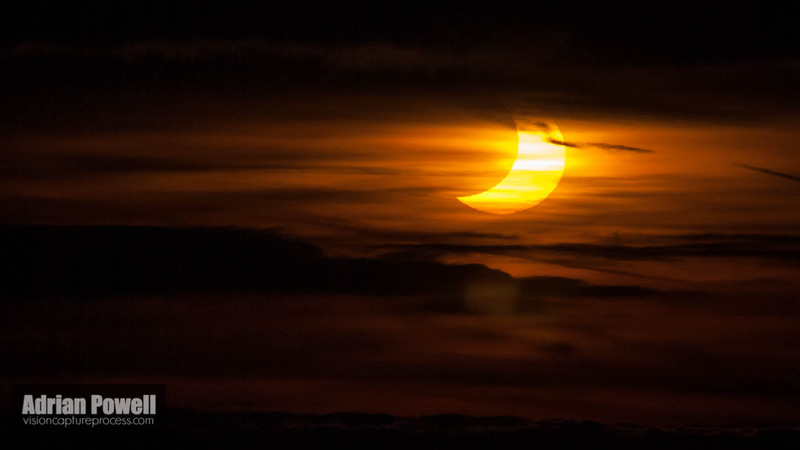 I have dug this photo out in anticipation of the next partial eclipse that will be visible from the UK on the morning of 20th March 2015 – I am hoping that the skies will be clearer than they were in 2011. 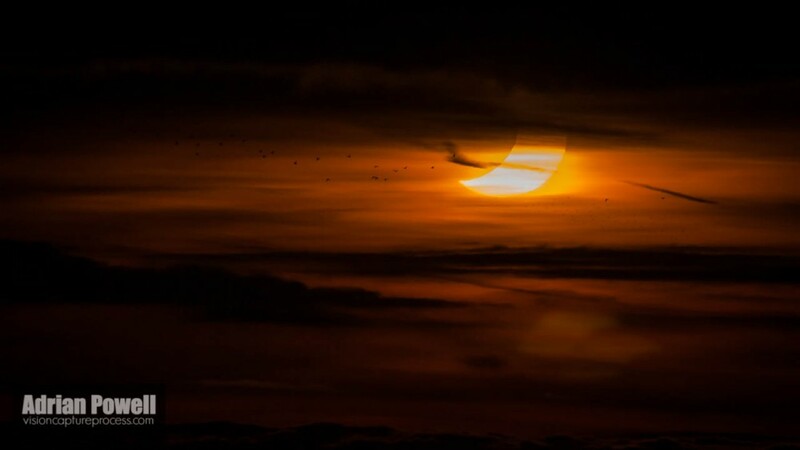 Details of the Solar eclipse (Moon between Earth and the Sun) can be found here for London (location can be changed) – For London, this eclipse starts at 08:25, reaches it’s maximum at 09:31 and finishes at 10:41 – while the maximum is not a total eclipse, it will be close and should be most impressive – subject to the weather, of course! NOTE: Use eye protection to observe the eclipse – sun glasses are NOT good enough – solar viewing glasses are cheap (£2.99 + P&P from Green-Witch.com) – looking directly at the sun is very likely to damage your retina – don’t take the risk!